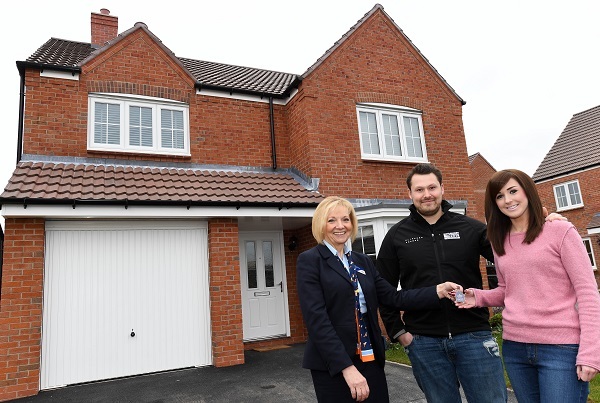 Sales advisor Amanda Flint delights in the community spirit at Bovis Homes’ Iddeshale Gardens in Shifnal. Here, she discusses why the Shropshire location is the perfect place to live. I’ve worked in the construction industry for six years and five of those have been with Bovis Homes. Before this, I worked in an estate agency for three years. - How would you sum up your role in a couple of sentences? The best way to put it is that you are everything you need to be to people; counsellor, advisor and friend. In other words, you form a relationship from stranger to a friend with home buyers, which then continues long after customers have moved into their new home. - What makes Iddeshale Gardens stand out from other new-build locations? Iddeshale Gardens is turning into a wonderful development with an amazing sense of community. We have several staff members living here now, too. Iddeshale Gardens is located in the small town of Shifnal - a very desirable location in Shropshire. It has strong community and transport links and is close to the M54. Plus, a train station, on the Shrewsbury to Birmingham line, which is excellent for work or a day or night out. It has excellent schools and restaurants, just a short walk away and is a short drive from all the amenities that Telford has to offer. - What house types are available at Iddeshale Gardens? We have three, four and five-bedroom homes, both detached and semi-detached. Soon we will have properties from our new housing collection. They have been designed and developed by the company over the last 12 months, with a focus on well-proportioned exteriors and a real sense of light and flow on the inside. Attractive and stylish homes – perfect for individuals, couples and families - built by a fabulous team, which is like one large family. - What can visitors and home buyers at Iddeshale Gardens expect from the Bovis Homes there? They can expect a wonderful new home in a lovely location and to enjoy the home buying experience. - How would you describe the sales team at Iddeshale Gardens? An amazing team, which most definitely includes the build staff. - What is the best feedback you've ever had from a customer? I have had lots of fantastic feedback, which is always special. Most recently, I was told ‘I’m family now’ - this was really touching! The release of our new homes collection, which we’re so excited about! - What are your short and long-term aims as sales advisor at Iddeshale Gardens? To continue to sell lovely homes to great people and to make their homebuying experience a happy memory. When Iddeshale Gardens is complete and I move on, which will be a very emotional time for me, I want to continue in the same way at another new and exciting location.